Have you ever driven your car with your eyes shut? Probably not. In order to perform certain tasks we heavily rely on our vision. We see, analyse, understand and decide based on the data our eyes deliver. 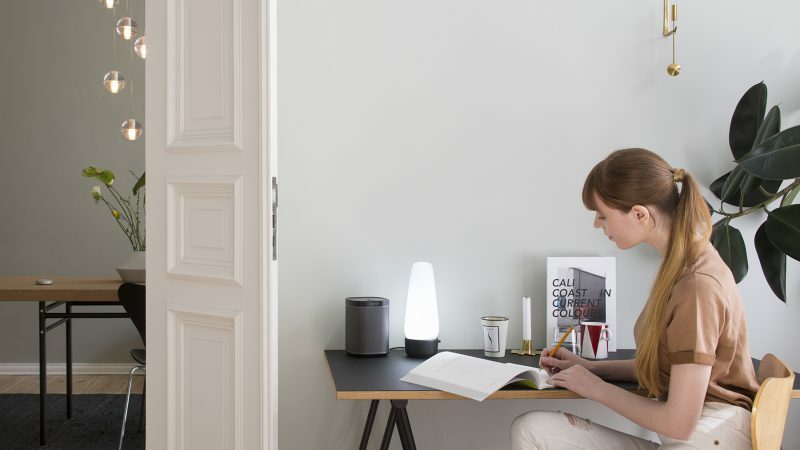 In a time in which we want to design applications which can help us to simplify our life and make tasks like driving our cars easier we have to think about how to enable electronic devices to see. A blind self-driving car would be scary, right? 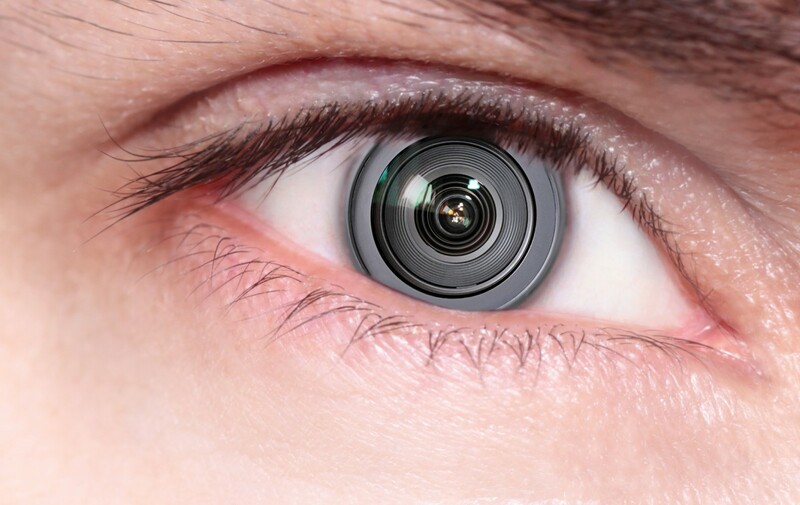 Image processing technology and machine vision enable completely new ideas as “seeing” is more than just another sensor. 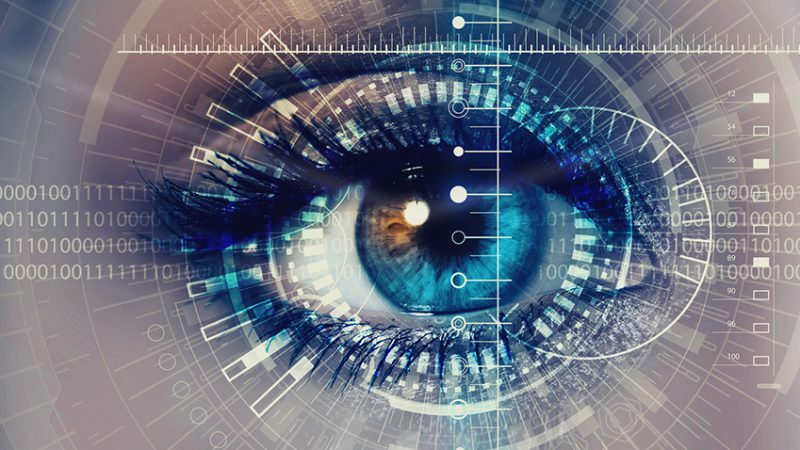 Especially in IoT and Industry 4.0 applications such as remote workflow and production controlling virtual eyes add more flexibility and precision. However image processing requires comparably high computing power and is a complex task. In order to simplify such designs FPGAs are a perfect fit. At last weeks View Summit in the Porsche Museum in Stuttgart, Germany industry experts gathered in order to discuss trends of tomorrow for machine vision, image processing and embedded computing. During the two day event the role and advantages of FPGAs in flexible CMOS-sensor interfaces, image processing and scalable hardware acceleration have been discussed. The possibility of the technology to use OpenCL/OpenCV (C-like Open Computing Language) for video analytics and easy parallelisation of code and offloading the CPU has also been part of the conversation. 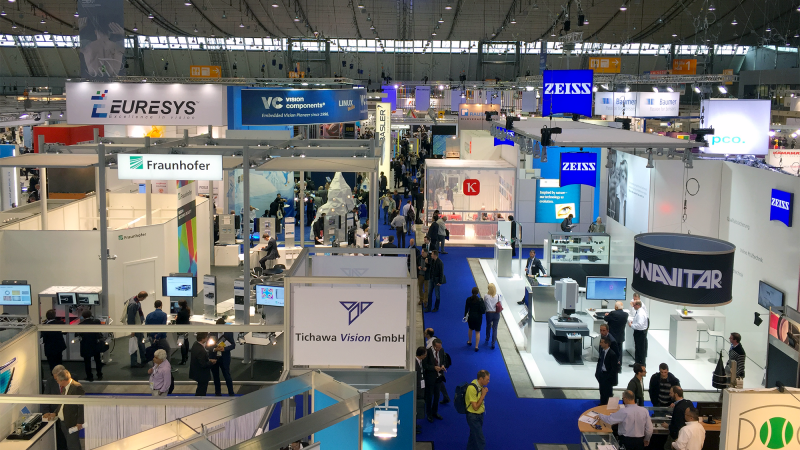 Other topics included vision applications together with industrial connectivity (Industrial Ethernet) and functional safety. 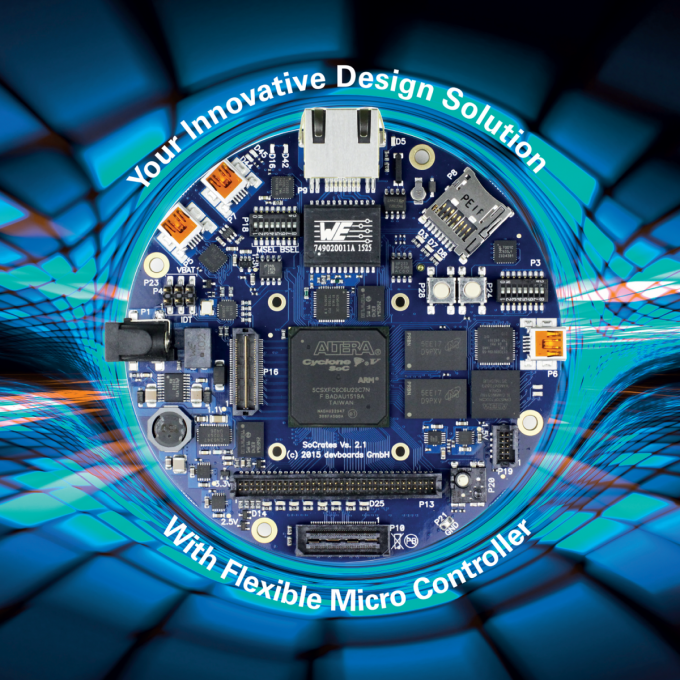 While there seems to be an agreement on the benefits of FPGA technology in such applications it has also been obvious that there is still a high demand for support and explanation on how to integrate FPGAs in machine vision and image processing designs. In order to provide an example on how to overcome common technical challenges regarding CMOS sensors we teamed up with Dream Chip Technologies and created a development platform for smart cameras based on our SoCrates-Boards. 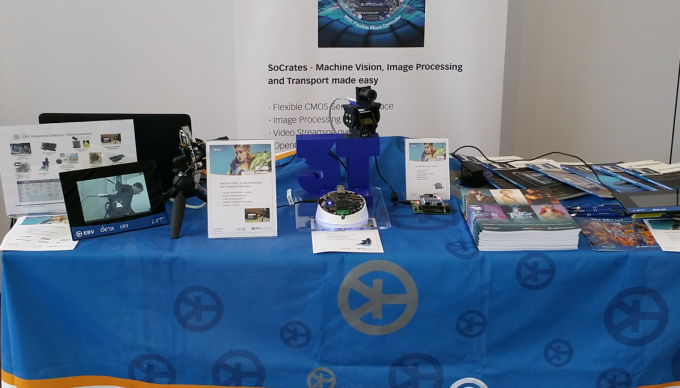 EBV’s SoCrates – image processing, machine vision and transport made easy! The platform unites Dream Chip Technology’s pixel processing with additional processing possibilities and allows for an optimised system partitioning due to the Altera SoC which is the core component of the SoCrates board will be explained in detail in an upcoming article in the magazine InVision. To experience the development platform in real-life visit us at the SPS IPC Drives Event later this month in Nuremberg, Germany or switch over to our FPGA Microsite for more information.